Ohio’s provides the EDGE and MBE certifications, which may be applied for using a unified application process. 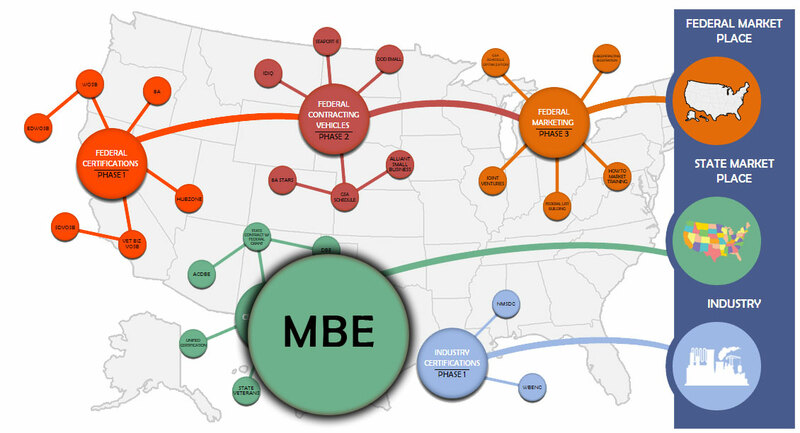 The MBE program includes sheltered markets/set-aside contracts for supplies, general professional services, engineering /architectural services, and construction (Goal 15% set-aside). The EDGE program applies to the same range of supplies and services, however without set-asides (Goal 5% total spend). The EDGE program includes bond guaranty, mentor-protégé programs, and contract assistance. Companies may be EDGE certified for a maximum of 10 years. Owner must be Ohio resident and U.S. citizen. The company must have completed at least one year in business. The company must be at least 51% owned and controlled by a minority (MEB) or a person that has been socially and economically disadvantage (EDGE). Owner’s net worth must be less than $250,000 (when applying for program – ranges up to $750K during program participation). A high degree of commonality exists between the Administrators for these programs. A summary of the key documents and processes was provided in the Overview Section for our State Unique programs. Please follow link to this content (link to section in overview).